The third installment in my YouTube series on tDCS is live. This little presentation covers commonly used tDCS electrodes and wires. Your comments and suggestions for future presentations are welcome! ← Introduction to tDCS, Devices, Treatment, and More. Part 1 of Many. I have only used the Amrex sponges. When people use the plain sponges only with the croc clips, isn’t there high possibility of the croc clips touching the skin and burning? If alligator-clipped carefully, plan sponges can be used safely. I visited a tDCS research lab and they were using plain sponges. Surprised me. But the Amrex, I think, are a better choice. Is the current going through your head during treatment with the homemade device 1.5 milliamps, or is that prior to the resistance of your skin on your head? 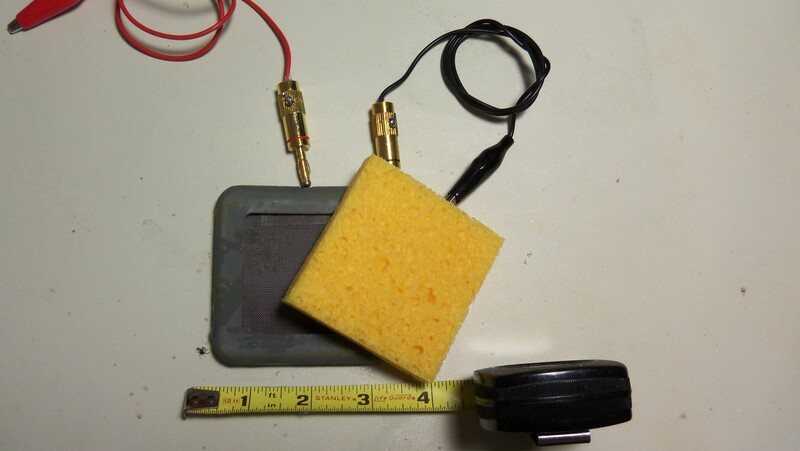 Have you done any objective tests with a homemade tdcs device i.e. N-back testing, remote association tests, digit recall? All tDCS devices work the same way (home made or not) – they pass current through some portion of the brain. 1.5 mA from a commercial or home made device is the same. I understand that. I’m just wondering if the current of 1.5 mA is figured before or after the resistance of skin. Or is that 1.5 mA actively regulated by the multimeter I see on the DYI unit you demonstrate in your videos? I’m highly interested for two reasons: mainly learning and working memory but also because of tinnitus which is annoying if I focus on it (mainly in really quiet environments). Just seems too good to be true but I want to try it out. The specified current (1, 1.5, or 2 mA) includes all resistance from the skin, skull, etc. What’s so special about the Amrex? It looks like an ordinary sponge but with the rubber frame. This seems to make the already small 2×2″ electrode even smaller. Vast majority of papers are using lower current densities with 5x7cm sponges. I’ve never used one before, so I’m wondering what’s all the popularity among that electrode? They have a banana plug connector, stainless steel screen backing, well made, etc.